AR Coatings – These coatings are utilized for minimizing reflections, specifically for high power lasers in the 193 nm to 3000 nm wavelength range. Mirror Coatings – These mirrors feature user-defined angles of incidence and best damage thresholds for applications with high power lasers and cw/fs lasers. High power coatings are ideal for ns and ps pulses. Partially Reflective Coatings – The coatings are used for substrates in output couplers or beam splitters in laser systems. Each can be manufactured in the wavelength range from 193 nm to 3 µm. The cw/fs coating has an extended wavelength range from 450 nm to 2 µm. Long-pass/Short-pass Mirror Coatings – These dichroic mirrors are used for combining or splitting beams with different wavelengths. Long-pass mirrors transmit long wavelengths and reflect short ones, while the short-pass mirrors transmit short wavelengths and reflect long ones. Gaussian Mirrors – Also called VRMs (variable reflecting mirrors), these mirrors are characterized by a degree of reflection that slopes from the center of the optic in a Gaussian distribution. 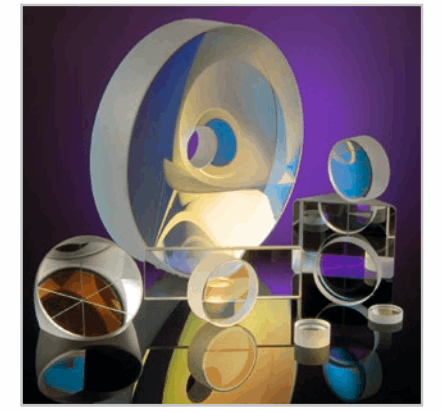 LASER COMPONENTS is one of the few manufacturers worldwide that offers this special type of mirror. Parabolic Mirrors – These are high power coatings on parabolic mirrors designed specifically for pumping thin disk lasers. In order to learn more about LASER COMPONENTS available coatings and laser optics, download the datasheets above, or visit the webpage.